p. 96 “If an observer gains knowledge about the system and thus determines that a number of states that were previously deemed probable are in fact unlikely, the entropy of the system (which now has turned into a conditional entropy), is lowered, simply because the number of different possible states in the lower. (Note that such a change in uncertainty is usually due to a measurement). This is completely different entropy as compared with that used in chemical thermodynamics. The goal of this document is hence to demonstrate this fact. I have had a discussion about these matters on biotaconv (http://www.biota.org/org/joinlist.html) that helped me to understand better the point of view accepted in the artificial life community. I am thankful to the members of the list for a nice discussion. I will start with a short description of how the entropy is employed in chemical thermodynamics, then I will briefly review the reasons for an opinion that the thermodynamic and information entropies are the same, and finally I will try to show that information and subjectivity have nothing to do with the entropy in chemical thermodynamics. In essence, the entropy in chemical thermodynamics is a quantitative property that does not depend on an observer. One can close eyes or open them, one can know about the JANAF Tables or not: this does not influence the entropy of substances at all. You may want to think it this way: chemists have been using thermodynamics and entropy for a long time to create reliable processes to obtain substances needed and they have been successful. In the papers, the author considers statistical mechanics only, so let me first describe the relationship between classical and statistical thermodynamics. As the name says it, classical thermodynamics was created first. It was not an easy born (see for example, Truesdell’s The Tragicomical History of Thermodynamics) and many people find classical thermodynamics difficult to understand. No doubt, the Second Law here is the reason; people find it at least as non intuitive. On the other hand, statistical thermodynamics was based on the atomic theory and here was the hope to find a good and intuitive way to introduce entropy. Well, it actually did not happen. In order to explain you this, let us consider a simple experiment. We bring a glass of hot water in the room and leave it there. Eventually the temperature of the water will be equal to the ambient temperature. In classical thermodynamics, this process is considered as irreversible, that is, the Second Law forbids that the temperature in the glass will be hot again spontaneously. It is in complete agreement with our experience, so one would expect the same from statistical mechanics. However there the entropy has some statistical meaning and there is a nonzero chance that the water will be hot again. Moreover, there is a theorem (Poincaré recurrence) that states that if we wait long enough then the temperature of the glass must be hot again. No doubt, the chances are very small and time to wait is very long, in a way this is negligible. Some people are happy with such statistical explanation, some not. Therefore the goal of Edwin T. Jaynes was to bring a new explanation of above. The author uses the formal equivalence between the Shannon’s and thermodynamic entropies and based on this suggests the entropy inference or subjective statistical thermodynamics. I should say that I enjoyed the part I. Here the assumption is that as we do not have complete information about the system, we use what is available and then just maximize the entropy to get the most plausible description. In a way it is some data fitting problem and it seems to be similar to the maximum likelihood in statistics. Yet, the term information here is more like available experimental data about the system and the entropy is not the same as in classical thermodynamics. Unfortunately I was not able to follow the logic in the second paper. I will make just a couple of citations. This is somewhat similar to what Christoph Adami says (see Introduction). What I am going to do next is to be back to chemical thermodynamics. Beginning in the mid-1950s, when elements other than the conventional carbon, hydrogen, oxygen, nitrogen, chlorine, and fluorine came into consideration as rocket propellant ingredients, formidable difficulties were encountered in conducting rigorous theoretical performance calculations for these new propellants. The first major problem was the calculational technique. The second was the lack of accurate thermodynamic data. 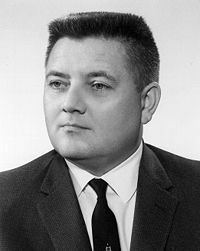 By the end of 1959, the calculation technique problem had been substantially resolved by applying the method of minimization of free energy to large, high speed digital computers. At this point the calculations become as accurate as the thermodynamic data upon which they were based. However, serious gaps were present in the available data: For propellant ingredients, only the standard heat of formation is required to conduct a performance calculation. For combustion products, the enthalpy and entropy must be known, as a function of temperature, in addition to the standard heat of formation. One could imagine that Edwin T. Jaynes knew nothing about this, as it his times this could be even classified. Well, chemical thermodynamics was already a developed science in 1950s, the paragraphs above concern just a particular application of chemical thermodynamics. In any case, it hard to understand why Christoph Adami does not know how chemists employ entropy in their work. Thus, what is subjective in the JANAF Tables? What the entropy in the JANAF Tables has to do with the information? I have found no answers to these questions so far. Here there is another question. What is the difference between Integral Cp/T dT and Integral Cp dT? Why the first integral has something to do with information and the second not? Why the first integral has something to do with subjectivity and the second not? I have tried to show that subjectivity and information do not belong to chemical thermodynamics. In my view, this means that the thermodynamic entropy has nothing to do with the informational entropy. Let me repeat my logic once more. where a panel of scientist discuss how the Second Law should be taught. The video shows that the entropy is a difficult concept indeed. The scientists do not agree with each other on how to teach the Second Law. Yet, the concept of the entropy as information is not there at all. What the difference it makes in the artificial life research? So far I have not seen a good answer, why it is so important in artificial life to state that the information entropy has something to do with the entropy in chemical thermodynamics. Thankyou for the interesting read suggestions and thoroughly argumented opinion on this subject. I didn’t know there was an attempt at a unifying theory between informational and thermodynamical entropy. I have come across both statistical physics and Shannon’s theorem in my scientific training (I don’t intend to brag about it, but not many people have the opportunity to study both) and until reading your post above I did believe, like you, that the two fields were indeed related by no more than a coincidence in the mathematical approach. Actually I’m not 100% sure on the subject quite yet. if we consider all the possible states of the room with a glass of hot water as a probabilistic superposition, and that the measurement of the water temperature triggers the decoherence ( the phenomenon that kills or lets live Schrodinger’s cat ), then there is a non-zero chance that the measurement keeps the initial state (!). Of course, that chance is infinitesimal compared to the zillion other *indistiguishable* states that emerge from the thermal interaction of the molecules. Jaynes seems to argue that it is because we want to observe that *unique* distinguishable state where no interaction has taken place (the water remains hot), that we find it impossible. Thus the entropy increase, that can be viewed under 2 aspects: too many “distinguishable” states (supposing we can describe them all – thus no information loss) or just one state of interest but how can we “tell it apart” (thus the lack of information). Also I believe the tabulated specific entropy for each chemical species is just an empirical amount. We could try to see this as the amount of energy per mass and per temperature unit (I think the SI unit is J/K/kg ) stored in the chemical species that is released and *unaccounted for* in a chemical reaction. “Unnacounted for” means that there is a large part of subjectivity: there are probably other forms of interaction through which energy is released in the environment *and we cannot figure out* how or where to search for it. This is mainly because the only measurement means we have for the released energies *are* those very chemical reactions. So linking this to a lack of information seems appropriate. Finally, for your concluding question – imagine there may be a wired conscience that comes to life in the internet. (I’m thinking of Jane in Orson Scott Card’s “Ender” SF saga.) Organic life as we know it is a fight against thermodynamic entropy growth (our cells maintain a complex order in the water and organic elements as opposed to the water in rivers and mineral coal). Therefore identifying the – potential – digital lifeform may just imply spotting a reduction in information entropy that is “unnacounted for” in the networks.